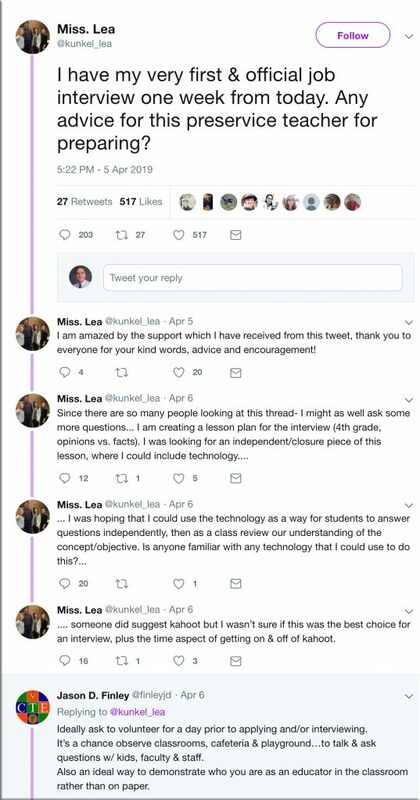 The first external partner, the Hong Kong University of Science and Technology (HKUST), loved the course design and platform but told Nelson they couldn’t afford to teach 15 students at a time. The Minerva team realized that to be applicable at major universities, active learning needed to be scalable. Starting this summer, a new version of Forum will be available for classes of up to 400 at a time. For students, it will still feel like a small seminar. They’ll see the professor, themselves, and a dozen other students. Forum will manage the movement of students from screen to screen. “Everybody thinks they are in the main room,” said Nelson. Forum enables real-time polling and helps professors create and manage breakout groups. With Forum, “For the first time you can deliver better than Ivy League education at absurdly low cost,” said Nelson. 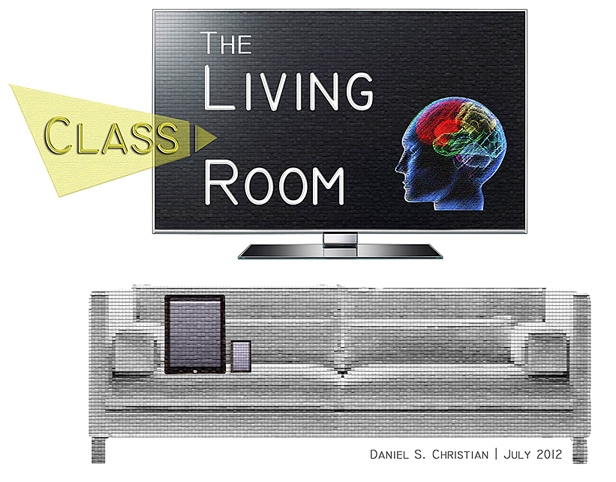 Online courses and MOOCs just repackaged the same format and just offered it with less interaction. As new Forum partners will demonstrate, “It’s possible to deliver a year of undergraduate education that is vastly superior for under $5,000 per student,” added Nelson. He’s excited to offer a turnkey university solution that, for partners like Oxford Teachers Academy, will allow new degree pathways for paraprofessionals that can work, learn, and earn a degree and certification. A legal dispute over video captions continues after court rejects requests by MIT and Harvard University to dismiss lawsuits accusing them of discriminating against deaf people. Two high-profile civil rights lawsuits filed by the National Association of the Deaf against Harvard University and the Massachusetts Institute of Technology are set to continue after requests to dismiss the cases were recently denied for the second time. The two universities were accused by the NAD in 2015 of failing to make their massive open online courses, guest lectures and other video content accessible to people who are deaf or hard of hearing. Some of the videos, many of which were hosted on the universities’ YouTube channels, did have captions — but the NAD complained that these captions were sometimes so bad that the content was still inaccessible. Spokespeople for both Harvard and MIT declined to comment on the ongoing litigation but stressed that their institutions were committed to improving web accessibility. I ran into the posting below on my Twitter feed. I especially want to share it with all of those students out there who are majoring in Education. You will find excellent opportunities to build your Personal Learning Network (PLN) on Twitter. But this idea/concept/opportunity also applies to current teachers, professors, trainers, special educators, principals, superintendents, school board members, coaches, and many, many others. You will not only learn a great deal by tapping into those streams of content, but you will be able to share your own expertise, insights, resources, reflections, etc. Don’t underestimate the networking and learning potential of Twitter. It’s one of the top learning tools in the world. 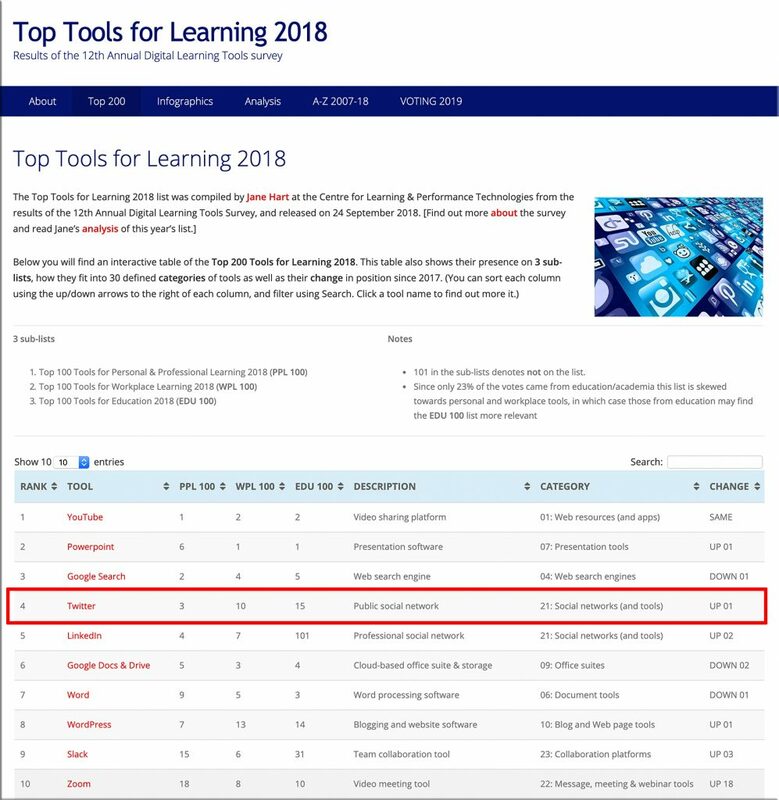 One last thought before you move onto the graphics below…K-12 educators are doing a super job of networking and sharing resources with each other. I hope that more faculty members who are working within higher education can learn from the examples being set forth by K-12 educators. AR is the go-to engagement method of choice when it comes to product and category exploration. 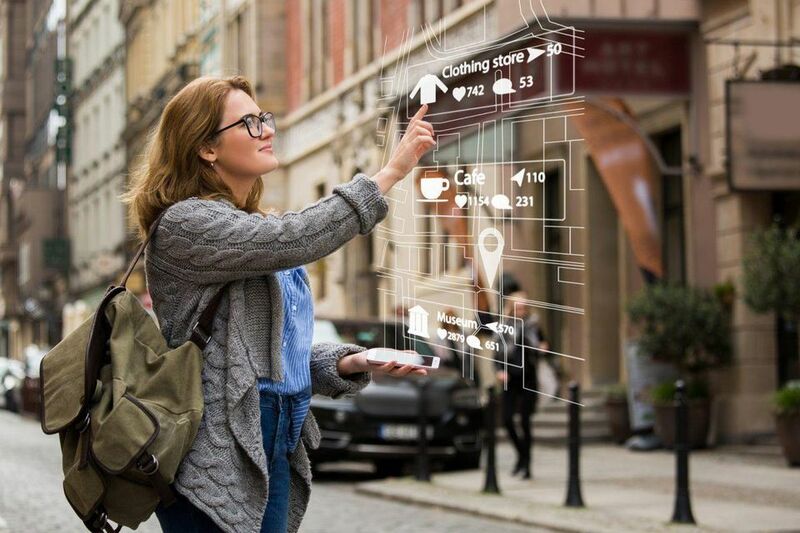 A label on a product on a shelf can only do so much to convey product and brand information, vs. AR, which can easily tap into a wealth of digital information online and bring it to life as an overlay on a product or on the label itself. Applying this concept to the academic world…what might this mean for a student in a chemistry class who has a mobile device and/or a pair of smart goggles on and is working with an Erlenmeyer flask? A burette? A Bunsen burner? That is, if there’s only 30 minutes of lab time left, the professor or TA could “flip a switch” to turn on the AR cloud within the laboratory space to allow those struggling students to see how to do their experiment. I can’t tell you how many times I was just trying to get through the lab — not knowing what I was doing, and getting zero help from any professor or TA. I hardly learned a thing that stuck with me…except the names of a few devices and the abbreviations of a few chemicals. For the most part, it was a waste of money. How many students experience this as well and feel like I did? Will the terms “blended learning” and/or “hybrid learning” take on whole new dimensions with the onset of AR, MR, and VR-related learning experiences? 5G is the key to it all, according to Gartner. At first glance, it may have seemed like an inconsequential name change: Harvard Business School’s digital learning platform HBX would be called HBS Online. But commentators have billed the recent rebrand as having the potential for a big impact on online education. For one, the makeover could help to further legitimize the market. Online learning was initially considered second-rate to campus study, due to concerns about teaching quality and interactivity online. Nitin Nohria, the dean of HBS, saying in 2010 that the school would never go online in his lifetime, appeared to confirm the scepticism. This is very old hat…but those who haven’t taught online should not judge online teaching and learning. If I gave you the writeups from my students from a class that I have taught in both a face-to-face format as well as in an online format — where I ask them what they learned during the class — I swear that you could not tell which documents represented those courses taught online vs. those taught face-to-face. I guarantee it. So as the saying goes…don’t judge it if you haven’t tried it. Oh…and by the way, many of the innovations in teaching and learning are happening in the digital/virtual realm. Not all, but many. And we haven’t seen anything yet. In an era when automation, AI, and technology has become more pervasive, important (and frightening) than ever, the big issue companies face is about people: how we find and develop soft skills, how we create fairness and transparency, and how we make the workplace more flexible, humane, and honest. 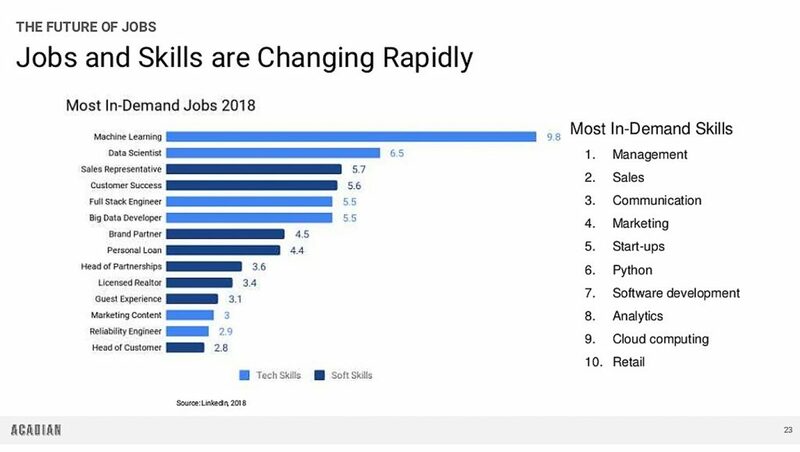 The most interesting part of this research is a simple fact: in today’s world of software engineering and ever-more technology, it’s soft skills that employers want. 91% of companies cited this as an issue and 80% of companies are struggling to find better soft skills in the market. Being able to keep learning (65 percent). 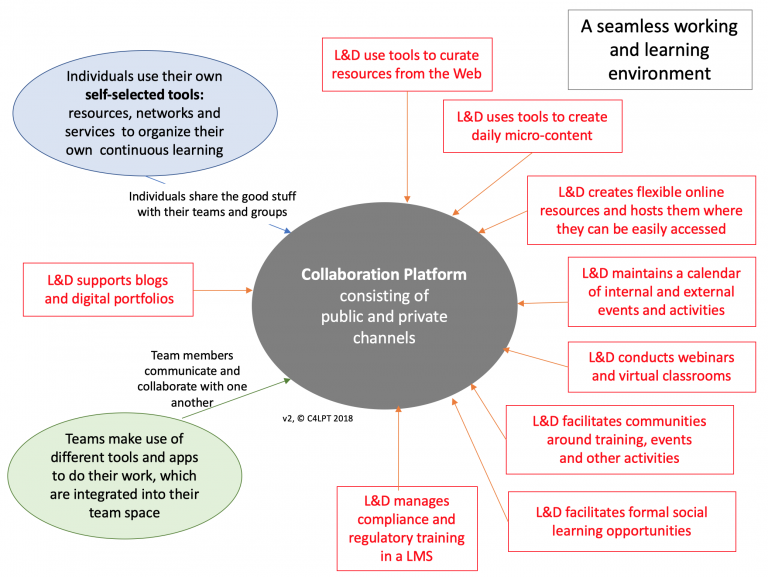 Below is a graphic from an article by Jane Hart that’s entitled, “A seamless working and learning environment“- to me, it’s another good example/graphic of a learning ecosystem. This one happens to belong to an organization, but each of us has our own learning ecosystem as well. Both edtechs and instructional designers (IDs) work with computer systems and programs, yet their actual duties differ from traditional IT tasks. The resulting confusion over what edtechs and IDs do—and how the two roles differ—is rampant, not least in the sector that needs them most: higher education. A few years ago, in a move toward professional learning, LinkedIn bought Lynda.com for $1.5 billion, adding the well-known library of video-based courses to its professional social network. Today LinkedIn officials announced that they plan to open up their platform to let in educational videos from other providers as well—but with a catch or two. The plan, announced Friday, is to let companies or colleges who already subscribe to LinkedIn Learning add content from a select group of other providers. 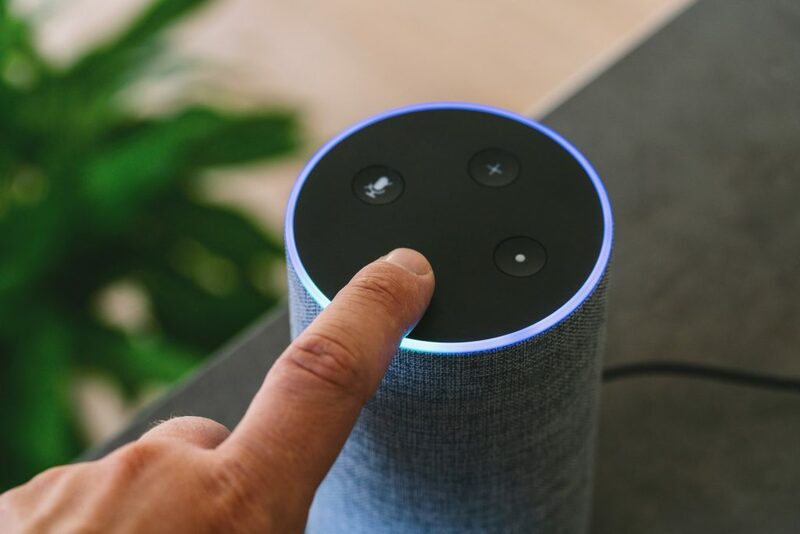 The company or college will still have to subscribe to those other services separately, so it’s essentially an integration—but it does mark a change in approach. For LinkedIn, the goal is to become the front door for employees as they look for micro-courses for professional development. LinkedIn also announced another service for its LinkedIn Learning platform called Q&A, which will give subscribers the ability to pose a question they have about the video lessons they’re taking. The question will first be sent to bots, but if that doesn’t yield an answer the query will be sent on to other learners, and in some cases the instructor who created the videos. LinkedIn has become quite a juggernaut in the corporate learning market. Last time I checked the company had more than 17 million users, 14,000 corporate customers, more than 3,000 courses and was growing at high double-digit rates. And all this in only about two years. And the company just threw down the gauntlet; it’s now announcing it has completely opened up its learning platform to external content partners. 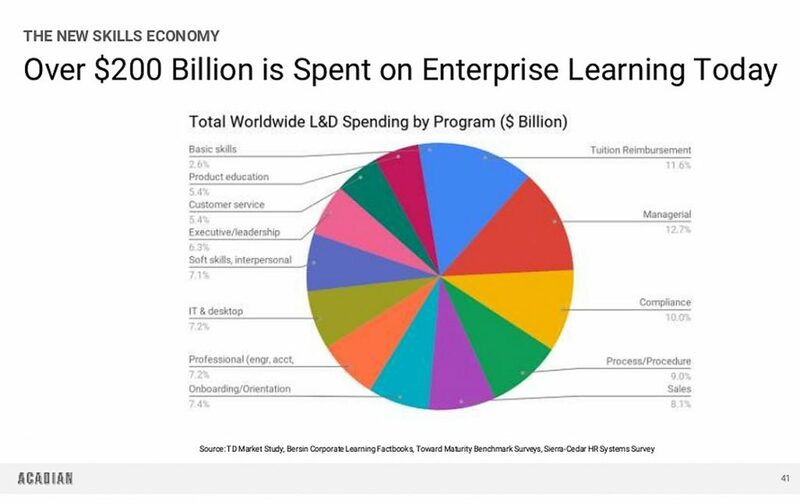 This is the company’s formal announcement that LinkedIn Learning is not just an amazing array of content, it is a corporate learning platform. The company wants to become a single place for all organizational learning content. LinkedIn now offers skills-based learning recommendations to any user through its machine learning algorithms. Is there demand for staying relevant? For learning new skills? For reinventing oneself? So…look out higher ed and traditional forms of accreditation — your window of opportunity may be starting to close. Alternatives to traditional higher ed continue to appear on the scene and gain momentum. 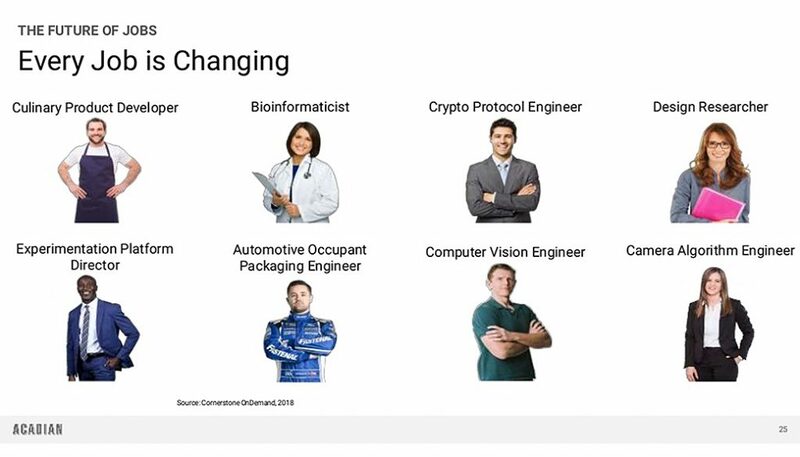 LinkedIn — and/or similar organizations in the future — along with blockchain and big data backed efforts may gain traction in the future and start taking away some major market share. If employers get solid performance from their employees who have gone this route…higher ed better look out. 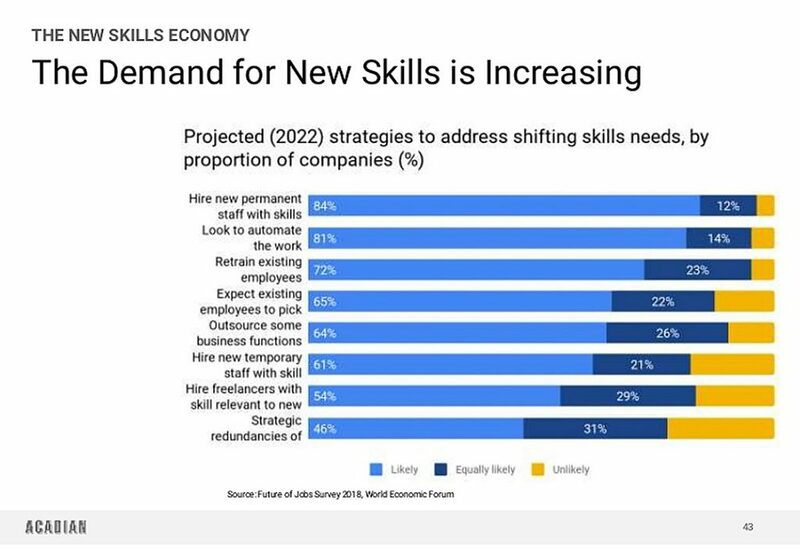 Microsoft/LinkedIn/Lynda.com are nicely positioned to be a major player who can offer society a next generation learning platform at an incredible price — offering up-to-date, microlearning along with new forms of credentialing. It’s what I’ve been calling the Amazon.com of higher ed (previously the Walmart of Education) for ~10 years. It will take place in a strategy/platform similar to this one. Now at age 83, Wakamiya beams with excitement when she recounts her journey, which has been featured in news outlets and even at Apple’s developer conference last year. But through learning how to code, she believes that experience offers an even more important lesson to today’s education and technology companies: don’t forget about senior citizens.Today’s education technology products overwhelmingly target young people. 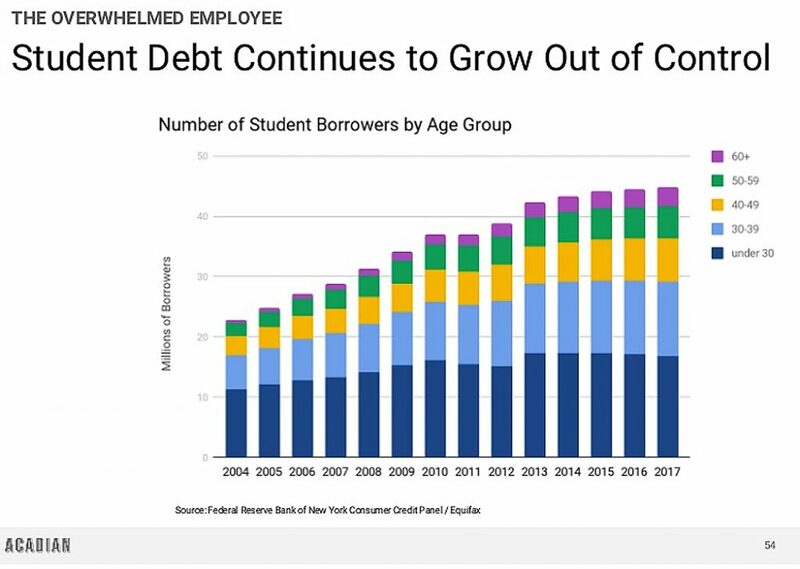 And while there’s a growing industry around serving adult learners in higher education, companies largely neglect to consider the needs of the elderly.